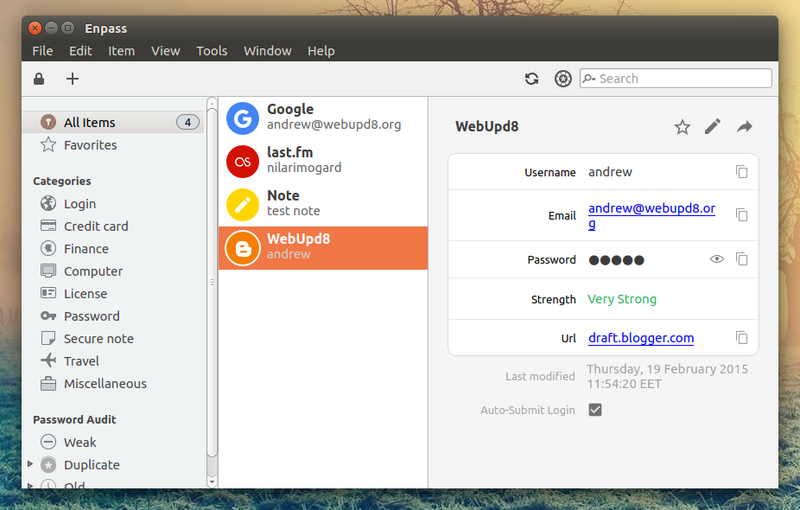 Enpass 5.2 for Linux and Windows was released today, bringing support for "Time-based One-time Password Algorithm" (TOTP), along with other improvements. Enpass is a proprietary cross-platform password manager which uses SQLCipher under the hood, an open source extension to SQLite that provides transparent 256-bit AES encryption of database files. 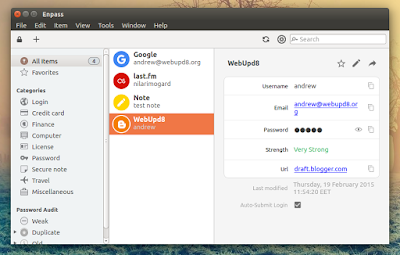 The app comes with quite a few useful features, including built-in (encrypted) backup/sync to Dropbox, Google Drive, OneDrive, Box, and ownCloud/WebDAV as well as Firefox, Chrome, and Safari extensions, which allow auto-filling username/password and other sensitive information directly from the web browser. Enpass is available for Linux, Windows and Mac as well as iOS, Android, Windows Phone and BlackBerry. The desktop apps are free to use with no limitations while the mobile apps offer in-app purchases (Android, iOS) or cost 9.99$ (Windows Phone). The most important change in the latest Enpass 5.2 is the added support for Time-based One-time Password Algorithm (TOTP) logins, a much requested feature. Thanks to TOTP support, you don't have to switch from Enpass to another application to view your time-based one-time passwords and instead, you can do this from Enpass. For how to use the Enpass TOTP feature, see THIS page. To install the Enpass browser extension, see THIS page.